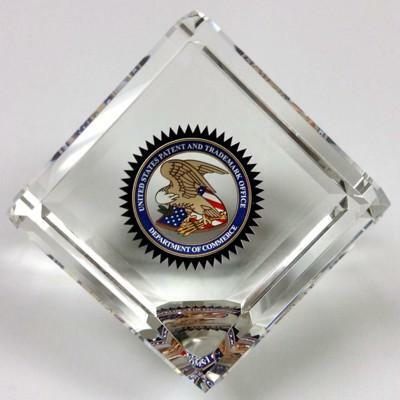 Same as our CRY-93, but features a full color USPTO Seal. Three inch lead crystal cube stands on its clipped corner. Laser engraved, the Standard layout is Inventor Name, Patent Number, Title and Date on side one, USPTO Seal on side two and Drawing and Abstract on side three.